The foremost Swiss artist of the late nineteenth and early twentieth centuries, Ferdinand Hodler (1853–1918) transcended the artistic conventions of his time while creating a vast oeuvre of impressive paintings of landscapes, portraits, historic scenes, and allegorical figures. Due to many recent retrospectives, Hodler has become increasingly recognized internationally as an important and renowned figure in art history. His work is now held in the permanent collections of the Art Institute of Chicago, the Cincinnati Art Museum, the Detroit Museum of Arts and the Montreal Museum of Fine Arts. Although Hodler’s work has been widely published in recent years, a catalogue raisonné of his work has been lacking until now. The Swiss Institute for Art Research in Zurich has edited the complete collection of his work to be published in four volumes—landscape, portraits, figures, and biography and documents. 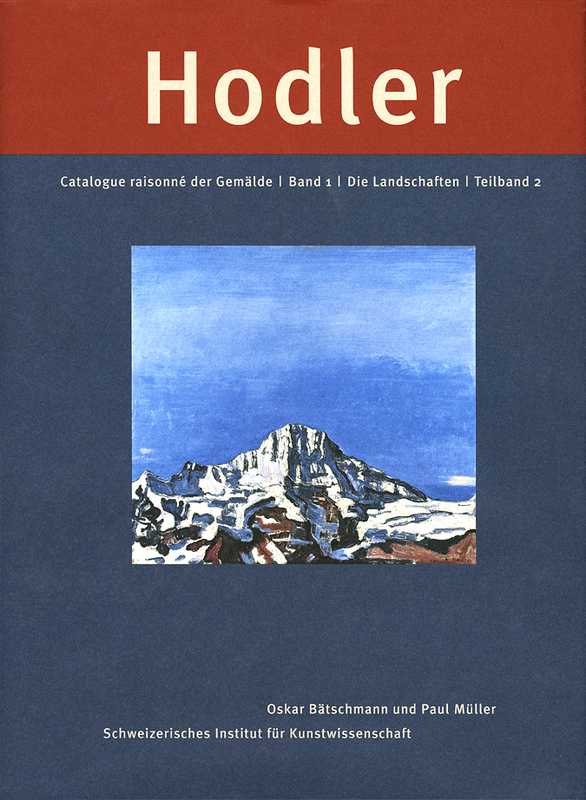 Volume one of this authoritative source on Hodler and his work, published in two parts, focuses on his landscape paintings, which are presented alongside essays in German from many notable art historians.